Home » All News » Spend July 2018 in Paris or Rome! Spend July 2018 in Paris or Rome! 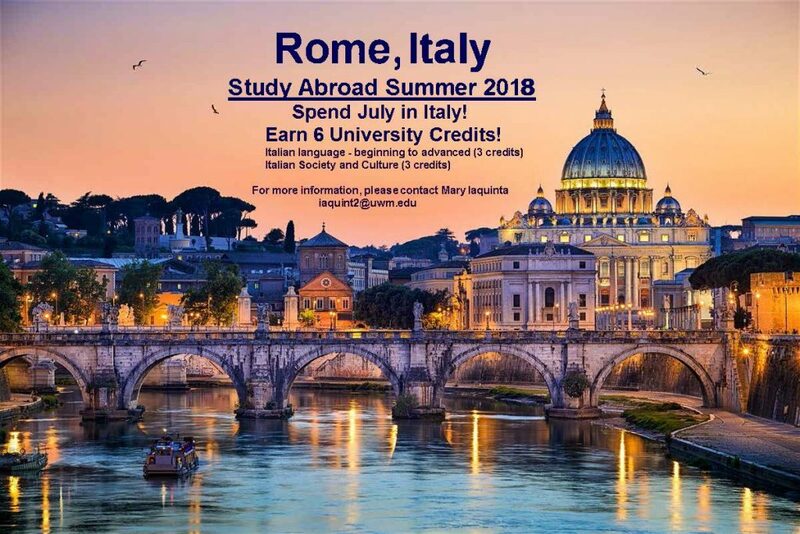 The Department of French, Italian, ad Comparative Literature is offering two 6-credit study abroad courses this July: one in Paris and one in Rome! Study with UWM instructors familiar with these European cities, improve your language skills, and enhance your cultural dexterity! UWM’s Study Abroad office has a lot of information on financing study abroad, too! Application deadline: March 1. 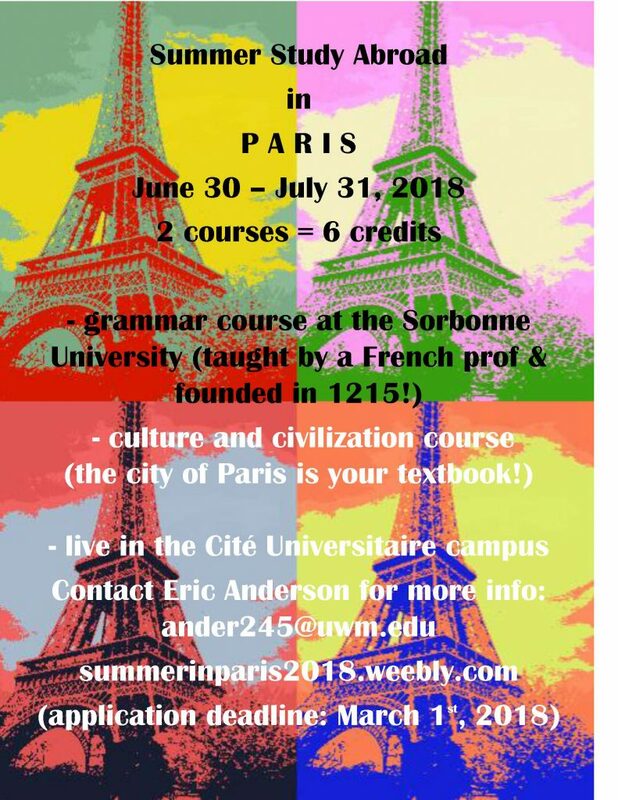 Contact Eric Anderson for more information about the Paris program and Mary Iaquinta for more information about the Rome program.